Welcome to our news and digital history archive. Explore our rich history in the making since 1906. Steven C. Palmitier, CLU, LLIF was named president and COO of Midland National in 2003. Palmitier joined Midland National as senior vice president of marketing and chief marketing officer in August 1996. He also maintained his role as president of Sammons Securities Company, LLC after being named president and COO of Midland National. 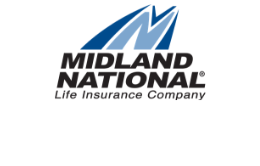 Learn more about Midland National’s history of officers. Copyright 2018, Midland National® News and Digital Archive. All rights Reserved.